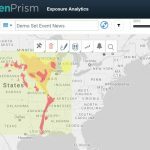 The need for real-time event response during hurricane season is critical to help risk managers protect assets and communicate with all stakeholders. 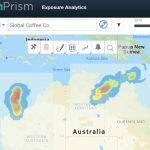 Which properties are within the projected storm track? What is the potential impact to our portfolio? How would changes in the projected path impact expected losses? And what if Hurricane Matthew entered the Gulf of Mexico and threatened the Texas Gulf Coast, instead of Florida and the Southeast Coast? 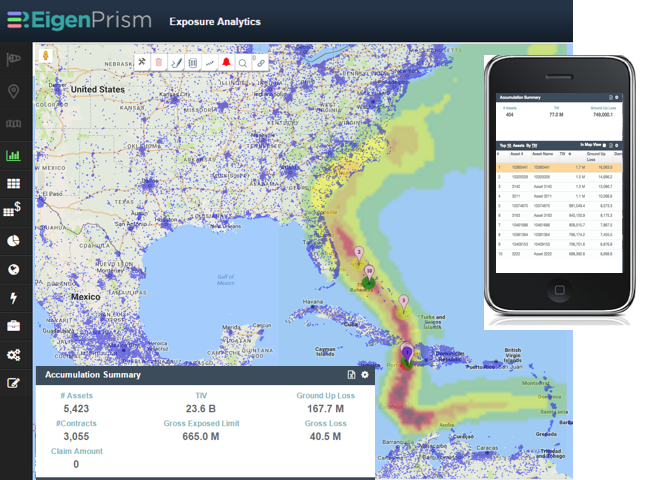 Within a few short hours, the broker uploaded the client’s exposed locations into the EigenPrism platform, enabling the risk manager to receive automated event notifications for Hurricane Matthew. These notifications demonstrated the potential impacts from both wind and storm surge based on each National Hurricane Center update, including number of assets and total insured value at risk, estimated losses and the top 10 impacted assets. As a result, the risk manager was able to provide critical information to senior management while the storm was approaching, and post-landfall. In addition, the risk manager was able to test different “what-if” scenarios (what if Matthew tracks closer to Florida, or changes path and only hits Georgia? ), giving insight and context to the potential impact estimates. 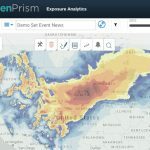 With EigenRisk, the broker was able to give his client real-time event response, generating the insights and tools needed to track properties in the path of the hurricane, facilitating better event preparation and planning for expected losses.